This man is my better half, he gives big and loves hard in his actions-speak-louder-than-words kind of ways. Duty calls close to home and far away, and he always answers. Our family doesn’t know what tomorrow brings, but we do know we rank at the top of his priorities. Though circumstances change with the winds, he is a steady oak who lives what he believes. I am unabashedly biased, but our servicemen and women are some of the best folks on God’s green earth. I’m thankful for all those who do what they do so I can do what I do. It’s no small gift. Click here to read a good word this Veteran’s Day. Thank you all you amazing wives of men in uniform – you are the brave. yes, yes you are. Thanks to all the military….especially your special guy!!! Awww how sweet! And also, “hubba hubba”!! Thank you to the Strongs–Major Strong for his service, Kristen for sharing her writing. And the little ones too! 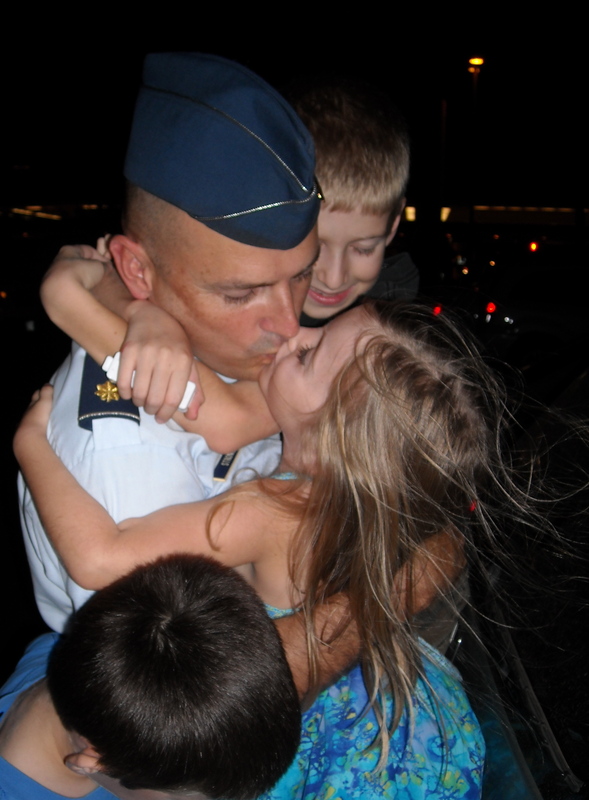 A big “THANK YOU” to your hubs for serving and keeping us safe. And to YOU for helping him do that. Where would he be without such an awesome oak as yourself? It was good to see you at Relevant. Love this! A big thank you to all the military personnel and their families for all they do for us. You are absolutely right – it is no small gift! Tell that man of yours, thanks so much for his service and sacrifice! And yours too, Kristen. Thank you for all you do. i adore this photo. tears to my eyes…..
Love the photo! God bless your husband! Please tell him “thank you” for fighting for my freedom, my husband’s freedom, and for the freedom I want my three children to always have. Thank you, sweet sister, for this beautiful post. Thank you more for your sacrifice and for living it for the world to see.